Plastics and petrochemicals are the future of Big Oil - there is hardly any question about that if by future we mean the distant future. There is still no consensus – and there won’t be any time soon - about when exactly peak oil demand will descend upon the oil industry, but most forecasters seem to give the industry another few decades of drawing the bulk of their income from selling fuels. After that, it will be plastics and petrochemicals. Big Oil is already preparing, and it’s not alone. The world’s biggest oil company in terms of reserves, Saudi Aramco, has been very active in seeking refining and petrochemicals projects to invest in as part of its efforts to secure long-term demand for its crude and maximize its value as well. The latest news is a deal between Aramco and a California startup that will allow the Saudi company to use the startup’s oxidative coupling of methane technology in its petrochemicals operations. 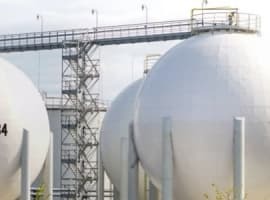 This technology may sound impressive but it is in fact an alternative to the traditional way of converting gas into ethylene, the main raw material for plastics. This alternative, according to the California company, Siluria, can increase the portion of crude oil converted into chemical feedstocks to 40-80 percent per barrel from the current 15-25 percent, while the rest is made into fuel. The company’s vice president for downstream operations, Abdulaziz Al-Judaimi, provided some figures in a recent interview with Reuters. Aramco, which produces around 10 million bpd of crude oil, aims to increase its refining capacity from 5 million bpd now to 8 million bpd-10 million bpd, and to double its petrochemicals production by 2030, Al-Judaimi said. “Our strategy is very simple. We want to be at 8 to 10 million barrels per day of participated (refining) capacity ... (and) we are going forward by trying to be a top leader in chemicals by 2040,” he said. 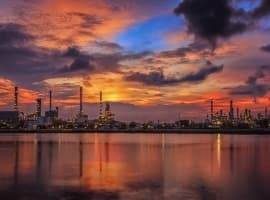 The Saudi company is committing billions of dollars to new petrochemical projects, including a US$44-billion refinery and petrochemical complex in India and a US$7-billion investment in another complex in Malaysia, and is in negotiations with companies for more partnerships in this segment. Indeed, focusing on plastics and petrochemicals is the only way forward for oil companies if we’re talking about their core business, excluding a shift to renewable energy. It’s the only way, but a threat awaits oil companies who take that path: the fight against single-use plastics. Related: Is This The Most Contentious OPEC Meeting Yet? The world’s plastics problem is so grave that it has spurred a renewed push against single-use plastic products in Europe that resulted in a ban of single-use cutlery, plates, and straws. And Europe is not alone in this push: earlier this month, India announced its own plans to phase out all single-use plastic products by 2022. Not everyone is concerned with the war on plastics. Shell’s downstream head, John Abbot, for example, recently told the FT the plastics bans are not a problem for oil companies. Even if all single-use plastics are banned globally, the impact of this on petrochemicals demand will be a decline of 3-4 percent. Indeed, plastics and petrochemicals are the future of the oil industry, and Aramco is betting on the right horse. Peak oil has come and gone. The March to ev&#039;s and hybrids is unstoppable. Every major automaker and truck maker has at least one electric and hybrid and are planning or building more and more. We are into the real second generation of alternative vehicles. So many companies have been screwed by big oil too many times and are moving on. 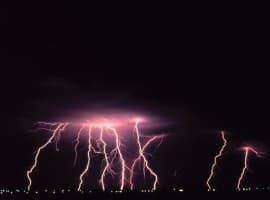 Solar, battery storage and chemical alternatives are exploding and yields are also exploding. Fool me once, shame on you, fool me twice, shame on me. Big oil is planning its own demise with its greed. Oil guys must be messing their pants right now and NO one cares. "Even if all single-use plastics are banned globally, the impact of this on petrochemicals demand will be a decline of 3-4 percent. Indeed, plastics and petrochemicals are the future of the oil industry, and Aramco is betting on the right horse." Is anyone else seeing how those two sentences blatantly contradict each other?